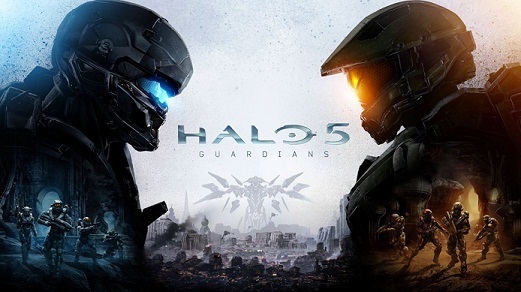 Halo 5: Guardians and Destiny are great futuristic first-person shooter games although various features have great similarities between them. While Guardians, the recently launched game for Xbox One focuses on the competitive multiplayer with huge maps for up to 24 players, Destiny has the strength the Raids costly and bright cooperative experience. Check out the comparison to see which one is better. Both shot franchises are creations of Bungie, the US company that currently works only with Destiny. Currently, Halo belongs to the developer 343 Industries, one of the big subsidiary studios of Microsoft. So it is natural that the gameplay of the two titles is similar, after Bungie has never hidden its desire to incorporate ideas of the first titles of the Halo series to the iconic universe of guardians. Destiny has wide variety of weapons and Halo 5: Guardians, which completely modernized arsenal with renewed versions of classic weapons. The recent episode of Master Chief franchise also brought new gameplay mechanics, special abilities and faster movements of the characters - all of which were implemented in Destiny from the beginning. In terms of gameplay, Destiny and Halo: 5 Guardians can be clean and, therefore, there is no way to point out which has the best gameplay. The draw is more than fair in this regard because both offer solid combat mechanics and vast weapon options for all tastes. After the recent launch of the expansion The Taken King, which brought the dynamics of events in real time, Destiny became virtually an open world game, while Halo: 5 Guardians presented linear proposal exploitable scenarios. 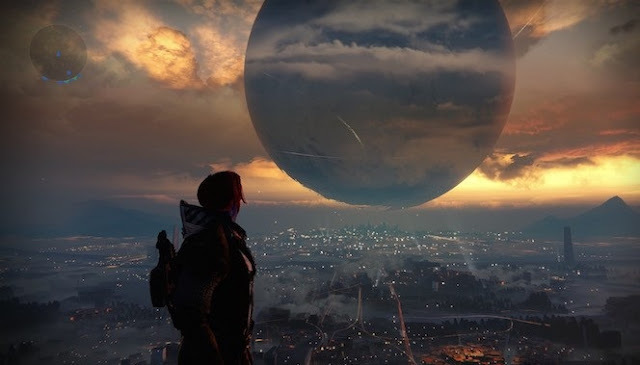 Because it is a game with larger maps, Destiny naturally has greater variety of environments. Halo 5: Guardians in turn, has only 15 missions in the campaign, and the same landscapes are repeated in some stages. On the technical aspect, Halo 5: Guardians performs better because it runs at 1080p and 60 frames per second on the Xbox One the other hand, Destiny can deliver the experience at 1080p and 30 fps in next generation platforms, which is also one feature to be applauded, as they are rare exclusive PS4 and Xbox One titles supporting such a resolution. Although the rate of Guardians boards can ensure absurd fluidity to the gameplay, Destiny is undoubtedly more visually pleasing. The MMO has worthy flora and fauna of dense RPGs and most inviting planets, with beautifully detailed environments and increased amount of composite objects. In contrast, the big mistake of Halo 5: Guardians is too betting in monochrome environments. As much as the Crucible is good choice for fun with friends, the multiplayer modes of Destiny are not nearly the degree of complexity of grandiose battles of the Spartans, as the War Zone modes. The War zones, as they are known worldwide, can support up to 24 players on gigantic maps filled with vehicles, weapons and missions. The multiplayer of Halo 5: Guardians is extremely balanced and fair to all Spartans. This means that the performance of teams depends solely on the players' skills. Moreover, Destiny comprises an asymmetric multiplayer that even quite engaging favors the Guardians is engaged in other activities in the game, like "incursions" "Dusk" and "Days". In the competitive multiplayer Destiny, the player uses his own equipment acquired during the gameplay, it means that there is no room for beginners with guns and low-level armor. In certain modes such as "Osiris Challenges" and "Iron Flag," for example, it is really hard to face the same enemies to-toe with lower arsenal. Because of the need to use own weapons, many players end up frustrating and consequently leave the Crucible aside. Even in Halo 5: Guardians arena modes, in which the goals are more simple, the games are quite balanced and require only aim calibrated the Spartans. In the case of competitive multiplayer, the exclusive Xbox One gets the title of best online mode. The 343 Industries tried to innovate by creating a campaign that can be enjoyed tip of the tip alongside real players. However, interaction with other users is minimal and it does not excite as it should because the weft is strictly linear and lasts somewhat less than 10 hours. In contrast, Destiny explores cooperative factor in the best possible way. Basically, the key game tasks require a group of keepers with predefined strategies. In addition, the universe around the Bungie work is designed to be operated as a team, so there are hundreds of cooperative missions available to the user and countless hours of gameplay. There is no denying: Destiny provides the best cooperative experience the new generation of consoles. If we took Destiny at release time for comparative purposes, Halo 5: Guardians could easily overcome the shooter from Bungie in terms of narrative, even being one of the worst titles of Master Chief counting of all time. However, with the launch of the expansions "The Underdark," "House of Wolves" and especially "The King of Possessed", Bungie managed to erase bad image of the almost non-existent initial plot. While Halo 5: Guardians not excited to bring a shallow plot starring Spartan Locke - the agent with little charisma - and Destiny surprised everyone with the excellent Oryx villain, the head of the incursion of the new expansion, titled "The Taken King ". Presented by developments in the last year, Destiny is in front of Halo 5: Guardians in relation to history. However, the saga of Master Chief as a whole is even more intriguing. Although they are two great games, Destiny has been providing richer experience after its first year of life. Because it is an MMO, it is natural that the vast content inserted over the months can considerably extend the longevity of the product, thereby resulting in hundreds of hours of play. Halo 5: Guardians in turn, has shallow and confusing history, but has balanced multiplayer modes and gameplay incredibly accurate.